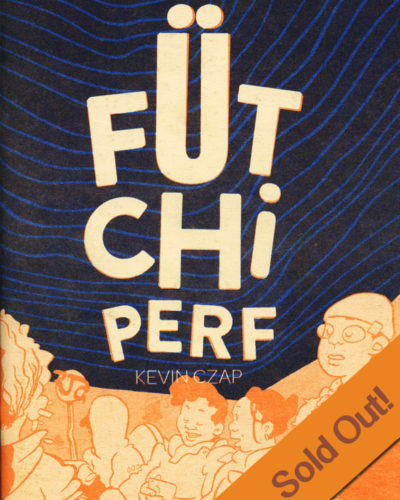 Kevin Czap has been a cartoonist, teacher, blogger, editor, convention organizer and publisher. Endearingly called “Comics Mom,” Kevin runs the micropress Czap Books in addition to co-publishing the Ley Lines series with L Nichols. In love with comics, particularly the ones that are poetic, personal, and/or weird – qualities found in Czap’s own work like Fütchi Perf. Kevin writes about and works toward the a world in which he wants to live…and we love him for it. Marnie Galloway & Sam Sharpe talk with Kevin on their podcast! Saturday, May 11, 2019Cara Bean, Ezra Claytan Daniels & Jason Viola at TCAF 2019!